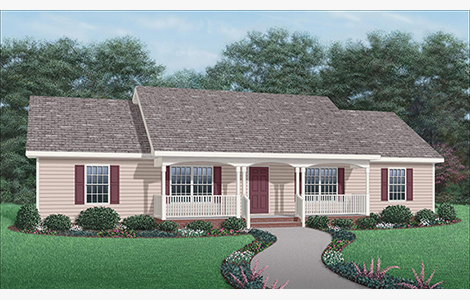 A four bedroom design that is economical to build and comfortable to inhabit, the Scott features all the amenities for family living along with its quiet visual appeal: Large porch shelters the front entry. 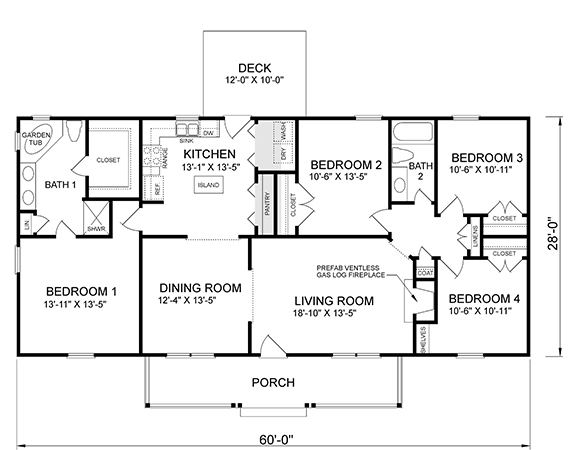 Spacious living room layout includes a gas log fireplace. Formal dining room is easily served from the adjacent kitchen through a wide cased opening Kitchen has a work island, pantry, and access to the back deck for those outdoor meals. The master bedroom has a walk-in closet and a private full bath with a double vanity, linen closet, garden tub, and separate shower. A second full bath is situated near the other three bedrooms. A utility nook, a coat closet, and more storage for linens are also included.